SKU: 00001. Categories: Books, Chronicles of a Detroit Railfan, Train Books. Tags: book, Chronicles of a Detroit Railfan, Volume 1. First book of an Eight Book series. This is a color photography book about the railroads of Detroit between the years 1975 and 2000. Few cities in the United States changed as much as Detroit during this 25-year period. During that quarter century Detroit went from being an industrial powerhouse to practically nothing. The loss of industries also shuttered many of the factories and industries in Detroit that the railroads once served. Chronicles of a Detroit Railfan Volume 1 captures the last of the glory days of Detroit railroading at the end of the 20th Century in words and color photographs. 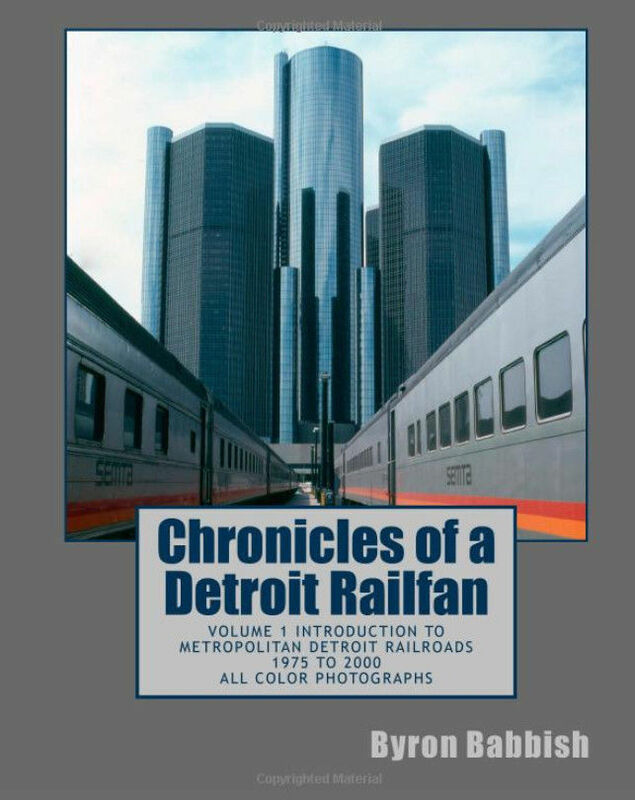 Volume 1 of this series of books on Detroit’s Railroads introduces us to all the railroads serving the metropolitan Detroit area in the years 1975 to 2000. Class 1 railroads such as Detroit, Toledo & Ironton, Detroit & Toledo Shore Line, Grand Trunk Western, Chesapeake & Ohio, Conrail and Norfolk & Western before they were merged into larger railroads are covered. Also covered in Volume 1 are Detroit’s shortline railroads including Detroit Terminal, Wyandotte Terminal, Detroit Connecting, Delray Connecting and, further north a bit, Port Huron & Detroit Railroad. Industrial railroads serving the many individual factories and business in Detroit are also included. Most of these railroads are gone now, either as a result of mergers and consolidations of the railroads after deregulation of the industry or because of the loss of industry in the Detroit metropolitan area. 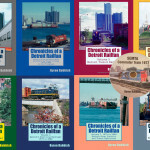 Chronicles of a Detroit Railfan Volume 1 brings back to life the many fascinating railroads serving a great city in the last quarter of the 20th Century. Byron Babbish is a railroad photographer, writer and historian. He has written books and articles on railroads and has had many of his railroad photographs published. A retired attorney, his time is devoted to teaching law, playing violin, model railroading and writing.